With the benefits it has offered the world, to say that drones are a revolutionary invention would be a severe understatement. Not only did these unmanned aircraft change the game of recreational flying, drones gave us a chance to see the world from an angle that would have otherwise been impossible for us to reach. As the popularity of drone increases, so do its applications. 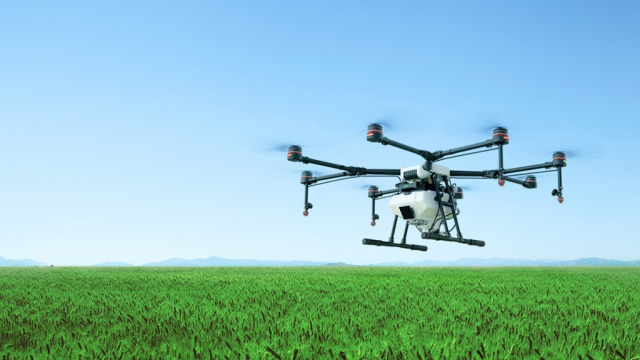 The many uses of drones make it an indispensable part of varying industries. If before, it is only used mainly for photography and videography, now drones are used in classrooms—and even in farms. Yes, the application of drones is no longer limited to giving people a fun way to spend their Sundays. For some, drones are what keep their livelihood alive. 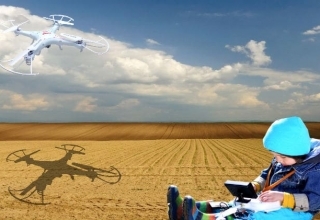 Agricultural drones have become a necessity for a number of farmers. And with the increasing demand for this type of drones comes an influx of new devices that serve such purpose. The newest addition? DJI’s Agras MG-1. Gone are the days of manual labor, where we have to carry containers of pesticides on our back. A day of manual spraying of crops is not enough to complete the task or even cover a hectare of terrain. And then we see that even after a long day under the scorching sun, our hard labor has done not much of a difference. With DJI launching the Agras MG-1, agricultural works have never been easier. It is the first-ever agriculture drone from DJI. DJI’s Agras MG-1, an octocopter that can carry 10 kilograms of any liquid including fertilizers and pesticides, is a sure game-changer in the agro-industry. Spraying using the Agras MG-1 is forty to sixty times faster than manually doing it. The drone can also carry up to 10 kg of liquid payloads. The combination of speed and powerful propulsion system allows covering an area of 4,000–6000 square meters in just 10 minutes. 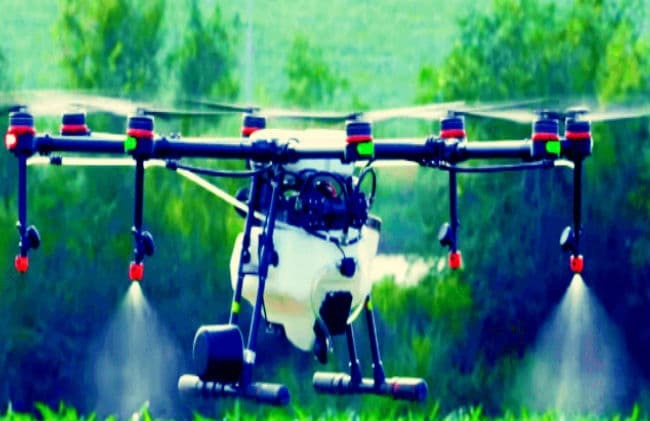 The MG-1 also has an intelligent spraying system that adjusts the spraying method according to its flight speed, ensuring that the amount of pesticide is evenly distributed to retrench operational cost and avoid pollution. 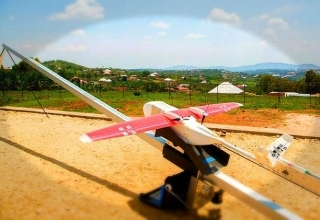 By integrating a microwave radar together with the Agras MG-1’s intelligent flight control system, the drone can scan terrain below it in real time to adjust the amount of liquid it sprays as it moves higher or lower from the ground. Also, its nozzles can be replaced according to the type of liquid to be used. High maintenance costs and short lifespan are the major issues in crop and field industry, as equipment used is susceptible to dust and corrosion. 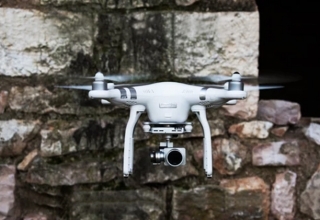 DJI’s Agras MG-1 is designed in such a way that it could counteract degradation with the centrifugal cooling system. As the drone flies, the surrounding air enters the body via the front inlet and the triple filter system prevents dust and small contaminants from entering the aircraft. The air then circulates through the arms to the motors, cooling all components and the entire structure. The Agras MG-1 is undeniably larger compared to other DJI drones on the market. With arms unfolded, MG-1 stretches 1471 mm x 1471 mm. 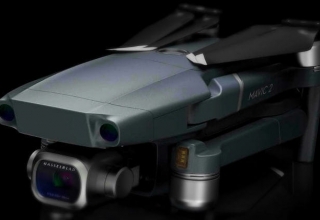 But DJI ascertained that the drone can be transported in the backseat of the car and made its arms collapsible, achieving a compact and portable design. 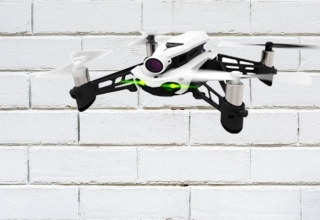 The drone is made from high-strength, carbon fiber materials, making Agras MG-1 light and durable. Moreover, DJI’s Agras MG-1 has an advanced flight controller to adjust the flight specification of the drone according to the terrain. Pilots can choose between three flight modes: smart, manual plus, and manual. When the drone is in smart mode, the flight can be easily planned with the press of a few buttons only. There is absolutely no need for terrain mapping or other software to aid the spraying process. Manual mode has the octocopter flying in a predetermined direction and turns set by the pilot. Manual means the pilot can freely and manually maneuver the aircraft. Whether you are a veteran or a neophyte in drone flying, DJI’s Agras MG-1 is very user-friendly that everyone, even the first-time drone pilots, can fly it with ease. The MG-1 automatically records its current coordinates and memorizes its previous coordinates as it flies across the field. In case the flight is interrupted due to low battery or draining liquid level, pilots can quickly land and resume from the most recent recorded point after changing the battery or refilling its tank. Agras MG-1 comes with a dedicated remote controller equipped with the Lightbridge 2 transmission system, enabling ultra-low-latency control. Like the aircraft itself, the controller is waterproof and dust resistant. 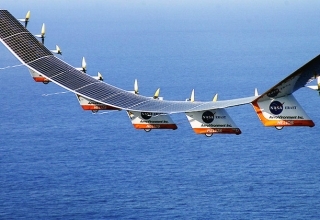 The controller’s special low-energy display panel provides real-time flight details. Also, it stays powered on for extended hours even in just a single charge. Pilots can even monitor the spray and flight speed and the battery and tank level of the drone on the controller itself. DJI did not release the exact value of Agras MG-1 on their website. Reports have it that DJI has partnered with retailers including Walmart and is selling the drone for $11,000 to $15,000 a piece. The cutting-edge technology of DJI incorporated into an agricultural device paves the way for a brighter future of aerial agriculture.